Easily importing recipes from the web is one of our favorite things about Plan to Eat. We want to make meal planning easier, and being able to build a meal plan and shop from any recipe on the web is a huge win. Because this is such a big deal to us, we have a lot of features that help you add recipes to your account. For example, you can import recipes with our Recipe Clipper Bookmark in a desktop browser, from a URL, or from other recipe software. The features above are fantastic tools, but we think we have created something even better for you! 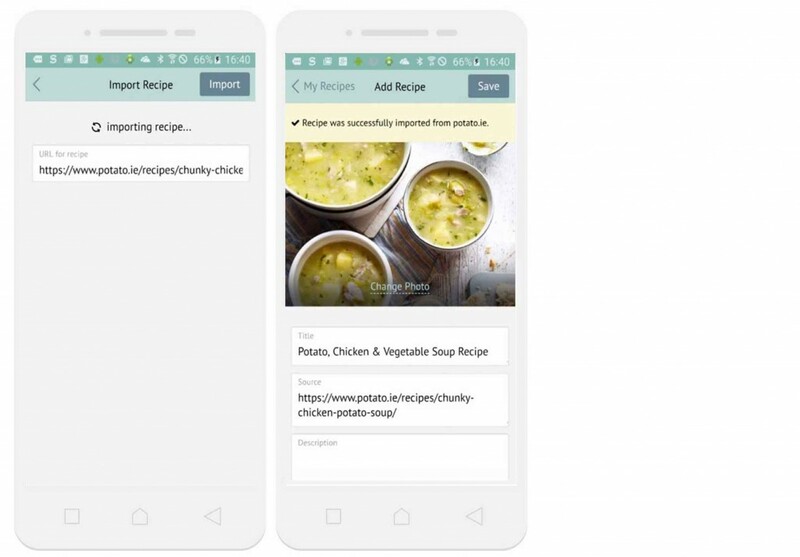 We are excited to officially announce our new Recipe Clipper Browser Extension for iOS and Android browsers. 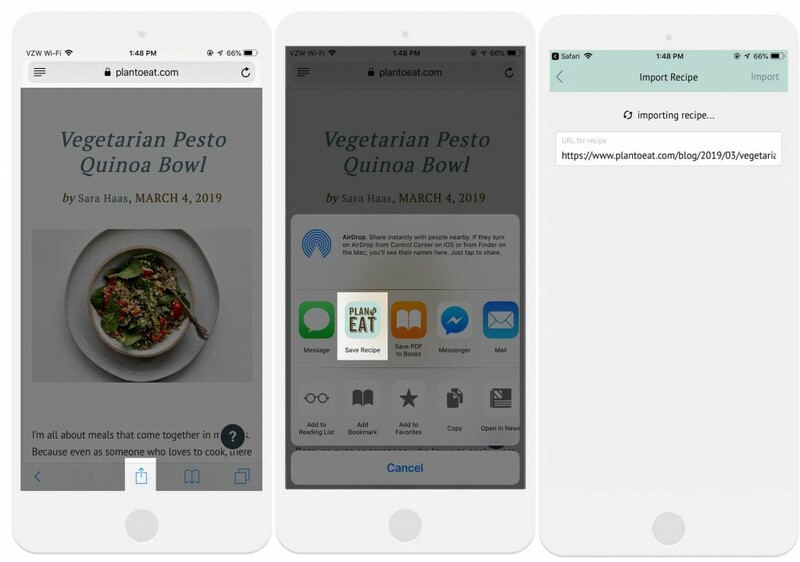 This new feature allows you to save any recipe to your Recipe Book using the share button found in the mobile versions of Safari, Chrome or Firefox. This enhancement makes adding recipes so easy. We hope you love it as much as we do! UPDATE: The browser extension is currently not working in the Chrome browser on iOS only. We should have a fix out soon! Using your favorite browser, find a recipe you want to add to your Recipe Book. 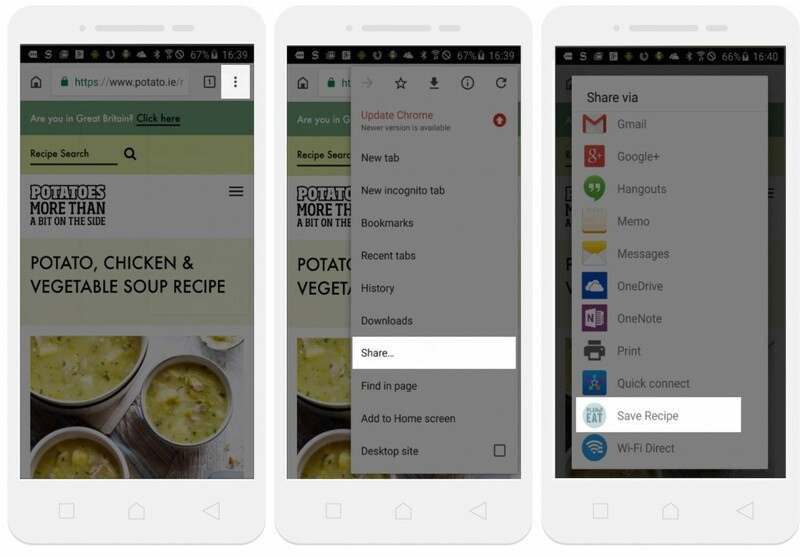 Choose the Plan to Eat “Save Recipe” share extension (if you don’t see our icon, scroll over and tap the More option to enable our extension). Plan to Eat will open and your recipe will begin importing. Once import is complete, check that the data is correct, make any changes necessary, and press Save. The recipe will be added to your Recipe Book. With the installation of the Plan to Eat app, the browser extension will be immediately added to your share menu in Chrome. Find a recipe online that you would like to import. Tap on the menu icon in the top right corner of your browser. In the share menu, tap on the Plan to Eat icon. The Plan to Eat app will open and begin importing your recipe. Press save to add the recipe to your Recipe Book. We have a lot in the works for Plan to Eat this year, including updates to both the app and the desktop. We’re actively launching new features and bug fixes to the app each and every week, so make sure to check for updates to see all of the newest additions! This. Is. Awesome! I just “saved”/imported a recipe from a website on my iPhone – so easy! I’ve been using PlanToEat for 9 years now, and while probably not the most prolific user, I’ve imported 615 recipes, typed in a lot of my own (torn from magazines, copied from grandmother & friends onto scraps of paper), and would be absolutely lost without it! You keep adding features I didn’t even think about wanting (cuz I’m 54, not a tech-savvy millenial). And you keep making my meal planning, grocery shopping and recipe finding so easy. Thanks to your whole team!! Tess, we are thrilled that you love it! This is a feature we have been working very hard to complete for all of you. Thank you for being such a long-time user. We are so thankful for you!